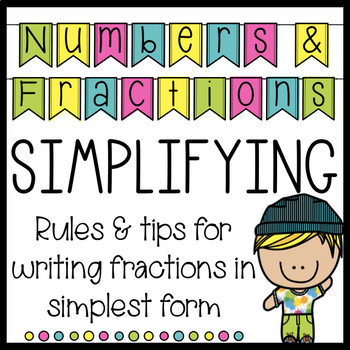 Easy to memorize rules for simplifying fractions! This is to be used as an introductory to simplifying fractions, and includes an answer sheet for the fill in the blank section. Want more upper elementary math resources? Check out my products below!